There is nothing quite like picking up a rental car, navigating unfamiliar roads, finding your hotel and being confronted by a forest of "No Parking" signs in a language you can't read. Throw in a case of jet lag and you have a recipe for true travel frustration. To avoid this annoyance, take a look at vacation parking options. Downtown hotels may or may not have parking available. If they do, expect to pay big-city rates. Security can be a concern, too. The cost of your hotel room may have nothing to do with the security of the hotel parking area. Be sure you know how to contact police in case your car is broken into or stolen. Take everything out of your car each night so that would-be thieves have no reason to break a window. In some cases, particularly in Europe, your hotel may not offer parking at all. Ask the desk clerk where to park and what to do about loading and unloading your luggage before you arrive. In some cities, you may end up parking in a municipal metered lot; this option may require you to "feed" your meter every few hours during the business day. If you cannot find anywhere else to leave your car and you are staying in a large city, consider parking at a downtown train station, which will probably offer long-term parking. Ask anyone who has visited New York City – a big city is no place to bring a car. If you have no choice, check with your hotel or do some online research to determine the best place to park your car. If the train station offers parking, you may be able to leave your car there. Municipal lots and parking garages are also good options. Check out the parking situation before your trip begins; looking for parking at the last minute is not a good idea. If you need to park on the street or in a garage, find out how payment works before you leave your vehicle. In many European countries and large US cities, you will need to pay at a kiosk, get a receipt and place it on your dashboard to prove you have paid. (This can backfire if the local meter maid gets to your car before you make it back with the receipt, but such cases are fairly rare.) Washington, DC, and some other cities allow you to pay for parking with your smartphone or credit card. In Germany, you will need to display a Parkscheibe (parking disc) on your dashboard if you park in an area that requires one. You can buy one at a gas station or order one online. You can find information about parking options at airports, train stations and cruise ports on their websites. If the website is in another language, read it using a translation tool. If you are not facing a language barrier, you can call the general information number for your train station, airport or cruise port to ask about parking availability. Airports offer many parking options, including hourly, daily and long-term parking. Private, off-airport parking services exist in many cities. Plan ahead if you are traveling during a holiday period; airport parking lots fill quickly during the holiday season. Train stations in small towns generally do not have many parking spots available, even if the station's website says there is ample parking. Train stations in major cities, on the other hand, usually have plenty of pay parking. Cruise ports typically offer long-term parking for cruise passengers. You may need to show your cruise tickets in order to park. In all of these situations, clean the passenger compartment of your car thoroughly. Never leave anything visible that might inspire a thief to break a window. If you keep a GPS unit in your car, bring window cleaner and clean the inside of your windshield before you park. Take everything out of your car, even pencils, or hide it in the trunk. 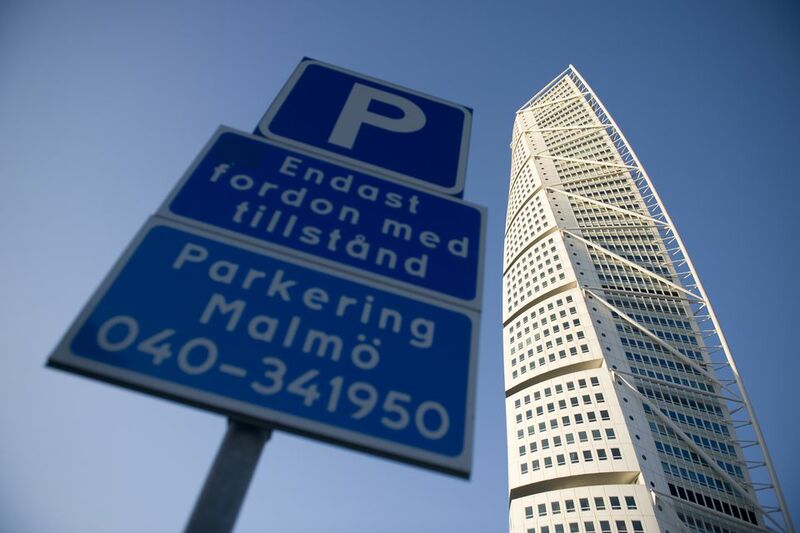 If you are looking for city- or hotel-specific parking information, start by visiting that city's or hotel's website. You can also call your hotel or the city's tourist information office to ask about parking options. Most travel guidebooks offer only limited parking information because the writers tend to assume that most visitors use public transportation. Visitors to many large cities can take advantage of parking websites. Some of these websites allow you to reserve and pay for your parking space before you leave home. If you own a smartphone, take advantage of the many parking-related apps that are available, including ParkWhiz, ParkingPanda and Parker. Try any app you download in your local area before you decide to rely on it during your trip.